For other uses, see Fight or Flight. The fight-or-flight response (also called hyperarousal, or the acute stress response) is a physiological reaction that occurs in response to a perceived harmful event, attack, or threat to survival. It was first described by Walter Bradford Cannon. [a] His theory states that animals react to threats with a general discharge of the sympathetic nervous system, preparing the animal for fighting or fleeing. More specifically, the adrenal medulla produces a hormonal cascade that results in the secretion of catecholamines, especially norepinephrine and epinephrine. The hormones estrogen, testosterone, and cortisol, as well as the neurotransmitters dopamine and serotonin, also affect how organisms react to stress. This response is recognised as the first stage of the general adaptation syndrome that regulates stress responses among vertebrates and other organisms. The autonomic nervous system is a control system that acts largely unconsciously and regulates heart rate, digestion, respiratory rate, pupillary response, urination, and sexual arousal. This system is the primary mechanism in control of the fight-or-flight response and its role is mediated by two different components: the sympathetic nervous system and the parasympathetic nervous system. The sympathetic nervous system originates in the spinal cord and its main function is to activate the physiological changes that occur during the fight-or-flight response. This component of the autonomic nervous system utilises and activates the release of norepinephrine in the reaction. The parasympathetic nervous system originates in the sacral spinal cord and medulla, physically surrounding the sympathetic origin, and works in concert with the sympathetic nervous system. Its main function is to activate the "rest and digest" response and return the body to homeostasis after the fight or flight response. This system utilises and activates the release of the neurotransmitter acetylcholine. Increased blood flow to the muscles activated by diverting blood flow from other parts of the body. Increased blood pressure, heart rate, blood sugars, and fats in order to supply the body with extra energy. The blood clotting function of the body speeds up in order to prevent excessive blood loss in the event of an injury sustained during the response. Increased muscle tension in order to provide the body with extra speed and strength. In the context of the fight or flight response, emotional regulation is used proactively to avoid threats of stress or to control the level of emotional arousal. During the reaction, the intensity of emotion that is brought on by the stimulus will also determine the nature and intensity of the behavioral response. Individuals with higher levels of emotional reactivity may be prone to anxiety and aggression, which illustrates the implications of appropriate emotional reaction in the fight or flight response. The specific components of cognitions in the fight or flight response seem to be largely negative. These negative cognitions may be characterised by: attention to negative stimuli, the perception of ambiguous situations as negative, and the recurrence of recalling negative words. There also may be specific negative thoughts associated with emotions commonly seen in the reaction. Perceived control relates to an individual's thoughts about control over situations and events. Perceived control should be differentiated from actual control because an individual's beliefs about their abilities may not reflect their actual abilities. Therefore, overestimation or underestimation of perceived control can lead to anxiety and aggression. The social information processing model proposes a variety of factors that determine behavior in the context of social situations and preexisting thoughts. The attribution of hostility, especially in ambiguous situations, seems to be one of the most important cognitive factors associated with the fight or flight response because of its implications towards aggression. 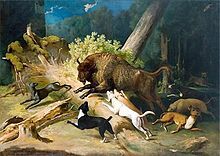 An evolutionary psychology explanation is that early animals had to react to threatening stimuli quickly and did not have time to psychologically and physically prepare themselves. The fight or flight response provided them with the mechanisms to rapidly respond to threats against survival. A typical example of the stress response is a grazing zebra. If the zebra sees a lion closing in for the kill, the stress response is activated as a means to escape its predator. The escape requires intense muscular effort, supported by all of the body’s systems. The sympathetic nervous system’s activation provides for these needs. A similar example involving fight is of a cat about to be attacked by a dog. The cat shows accelerated heartbeat, piloerection (hair standing on end), and pupil dilation, all signs of sympathetic arousal. Note that the zebra and cat still maintain homeostasis in all states. Animals respond to threats in many complex ways. Rats, for instance, try to escape when threatened, but will fight when cornered. Some animals stand perfectly still so that predators will not see them. Many animals freeze or play dead when touched in the hope that the predator will lose interest. Other animals have alternative self-protection methods. Some species of cold-blooded animals change color swiftly, to camouflage themselves. These responses are triggered by the sympathetic nervous system, but, in order to fit the model of fight or flight, the idea of flight must be broadened to include escaping capture either in a physical or sensory way. Thus, flight can be disappearing to another location or just disappearing in place. And often both fight and flight are combined in a given situation. The fight or flight actions also have polarity – the individual can either fight or flee against something that is threatening, such as a hungry lion, or fight for or fly towards something that is needed, such as the safety of the shore from a raging river. A threat from another animal does not always result in immediate fight or flight. There may be a period of heightened awareness, during which each animal interprets behavioral signals from the other. Signs such as paling, piloerection, immobility, sounds, and body language communicate the status and intentions of each animal. There may be a sort of negotiation, after which fight or flight may ensue, but which might also result in playing, mating, or nothing at all. An example of this is kittens playing: each kitten shows the signs of sympathetic arousal, but they never inflict real damage. ^ Cannon referred to "the necessities of fighting or flight." in the first edition of 'Bodily Changes in Pain, Hunger, Fear and Rage (1915), p. 211. Some references say he first described the response in 1914 in The American Journal of Physiology. ^ Cannon, Walter (1932). Wisdom of the Body. United States: W.W. Norton & Company. ISBN 978-0393002058. ^ Walter Bradford Cannon (1915). Bodily changes in pain, hunger, fear, and rage. New York: Appleton-Century-Crofts. p. 211. ^ Jansen, A; Nguyen, X; Karpitsky, V; Mettenleiter, M (27 October 1995). "Central Command Neurons of the Sympathetic Nervous System: Basis of the Fight-or-Flight Response". Science Magazine. 5236 (270). ^ Walter Bradford Cannon (1915). Bodily Changes in Pain, Hunger, Fear and Rage: An Account of Recent Researches into the Function of Emotional Excitement. Appleton-Century-Crofts. ^ "Adrenaline, Cortisol, Norepinephrine: The Three Major Stress Hormones, Explained". Hufflington Post. April 19, 2014. Retrieved 16 August 2014. ^ Gozhenko, A; Gurkalova, I.P. ; Zukow, W; Kwasnik, Z (2009). PATHOLOGY – Theory. Medical Student's Library. Radom. pp. 270–275. ^ a b Chudler, Eric. "Neuroscience For Kids". University of Washington. Retrieved 19 April 2013. ^ Margioris, Andrew; Tsatsanis, Christos (April 2011). "ACTH Action on the Adrenal". Endotext.org. Archived from the original on 6 March 2013. Retrieved 18 April 2013. ^ Padgett, David; Glaser, R (August 2003). "How stress influences the immune response". Trends in Immunology. 24 (8): 444–448. CiteSeerX 10.1.1.467.1386. doi:10.1016/S1471-4906(03)00173-X. PMID 12909458. ^ King, Michael. "PATHWAYS: GLYCOGEN & GLUCOSE". Washington University, St. Louis. ^ "HOW CELLS COMMUNICATE DURING THE FIGHT OR FLIGHT RESPONSE". University of Utah. Archived from the original on 8 August 2013. Retrieved 18 April 2013. ^ a b Henry Gleitman, Alan J. Fridlund and Daniel Reisberg (2004). Psychology (6 ed.). W. W. Norton & Company. ISBN 978-0-393-97767-7. ^ Stress Management for Health Course. "The Fight Flight Response". Retrieved 19 April 2013. ^ Olpin, Michael. "The Science of Stress". Weber State University. ^ Cistler, Josh; Bunmi O. Olatunji; Matthew T. Feldner; John P. Forsyth (2010). "Emotion Regulation and the Anxiety Disorders: An Integrative Review". Journal of Psychopathology and Behavioral Assessment. 32 (1): 68–82. doi:10.1007/s10862-009-9161-1. PMC 2901125. PMID 20622981. ^ Gross, James (1998). "Sharpening the Focus: Emotion Regulation, Arousal, and Social Competence". Psychological Inquiry. 9 (4): 287–290. doi:10.1207/s15327965pli0904_8. ^ Avero, Pedro; Calvo, M (1 July 1999). "Emotional reactivity to social-evaluative stress: genderdifferences in response systems concordance". Personality and Individual Differences. 27 (1): 155–170. doi:10.1016/S0191-8869(98)00229-3. ^ Carthy, T; Horesh N; Apter A; Edge MD; Gross JJ (May 2010). "Emotional reactivity and cognitive regulation in anxious children". Behaviour Research and Therapy. 48 (5): 384–393. doi:10.1016/j.brat.2009.12.013. PMID 20089246. ^ Valiente, C; Eisenberg N; Smith CL; Reiser M; Fabes RA; Losoya S; Guthrie IK; Murphy BC (December 2003). "The relations of effortful control and reactive control to children's externalising problems: A longitudinal assessment". Personality. 71 (6): 1171–1196. doi:10.1111/1467-6494.7106011. PMID 14633062. ^ Reid, Sophie C.; Salmon, Karen; Peter F. Lovibond (October 2006). "Cognitive Biases in Childhood Anxiety, Depression, and Aggression: Are They Pervasive or Specific?". Cognitive Therapy and Research. 30 (5): 531–549. doi:10.1007/s10608-006-9077-y. ^ Beck, Aaron (1979). Cognitive Therapy and the Emotional Disorders. United States: Penguin Books. ^ Weems, CF; Silverman, WK (April 2006). "An integrative model of control: implications for understanding emotion regulation and dysregulation in childhood anxiety". Journal of Affective Disorders. 91 (2): 113–124. doi:10.1016/j.jad.2006.01.009. PMID 16487599. ^ Brendgen, M; Vitaro F; Turgeon L; Poulin F; Wanner B (June 2004). "Is there a dark side of positive illusions? Overestimation of social competence and subsequent adjustment in aggressive and nonaggressive children". Journal of Abnormal Child Psychology. 32 (3): 305–320. doi:10.1023/B:JACP.0000026144.08470.cd. PMID 15228179. ^ Crick, Nicki; Dodge, Kenneth (January 1994). "A review and reformulation of social information-processing mechanisms in children's social adjustment". Psychological Bulletin. 115 (1): 74–101. doi:10.1037/0033-2909.115.1.74. ^ Dodge, Kenneth (March 1980). "Social cognition and children's aggressive behavior". Journal of Child Development. 51 (1): 162–170. doi:10.2307/1129603. JSTOR 1129603. ^ Grohol, John. "What's the purpose of the fight or flight response?". Retrieved 18 April 2013. ^ Goldstein, David; Kopin, I (2007). "Evolution of concepts of stress". Stress. 10 (2): 109–20. doi:10.1080/10253890701288935. PMID 17514579. ^ Gill, A.C. (2004). Revision of the Indo-Pacific dottyback fish subfamily Pseudochrominae (Perciformes: Pseudochromidae). Smithiana Monographs. pp. 1–123. Sapolsky, Robert M., 1994. Why Zebras Don't Get Ulcers. W.H. Freeman and Company. This article incorporates public domain material from the United States Government document "http://www.surgeongeneral.gov/library/mentalhealth/chapter4/sec2_1.html".